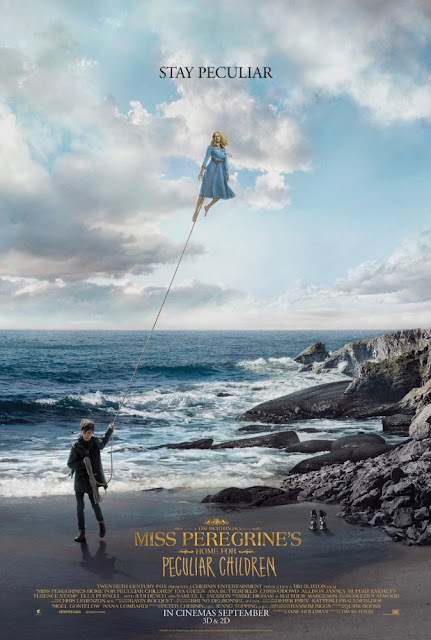 I love the rendition of Cass Elliot's New World Coming in the trailer for Miss Peregrine's Home for Peculiar Children. The film comes out September 26 and stars Eva Green, Asa Butterfield, Samuel Jackson, Allison Janney and the girl who needs her shoes to keep her grounded, Ella Purnell. But like the song, which is lighter, wispier than the original, is the movie, so bright and colorful, faithful to the darker, creepier original, the book by Ransom Riggs? Miss Peregrine's Home for Peculiar Children directed by Tim Burton, opens September 30th.